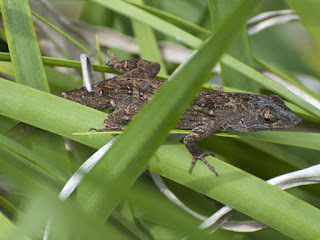 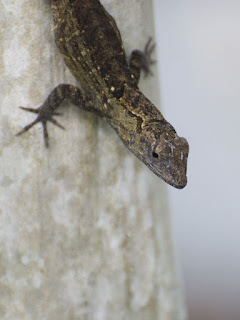 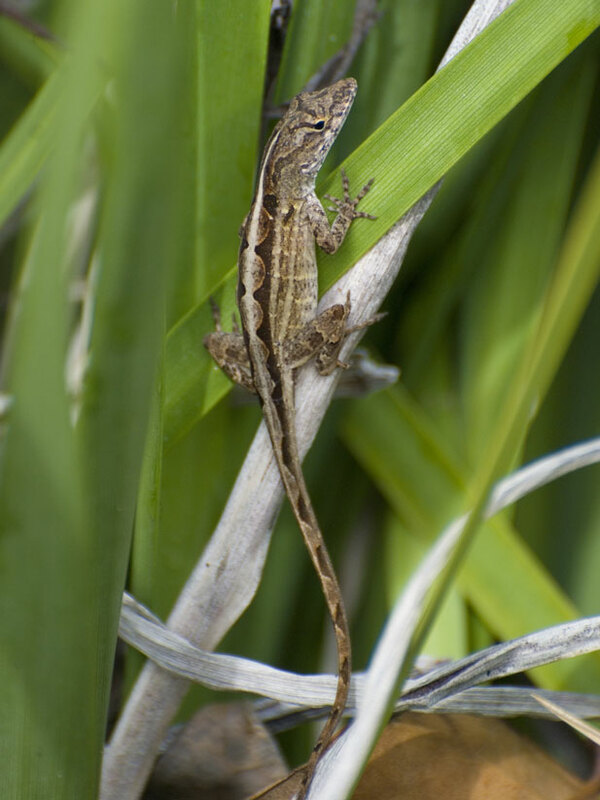 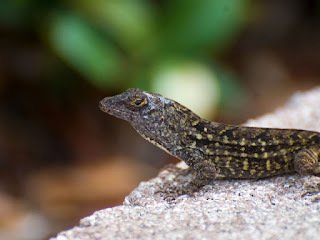 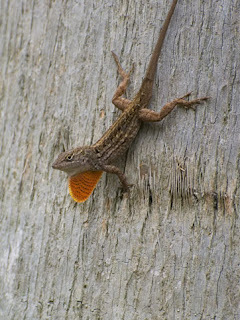 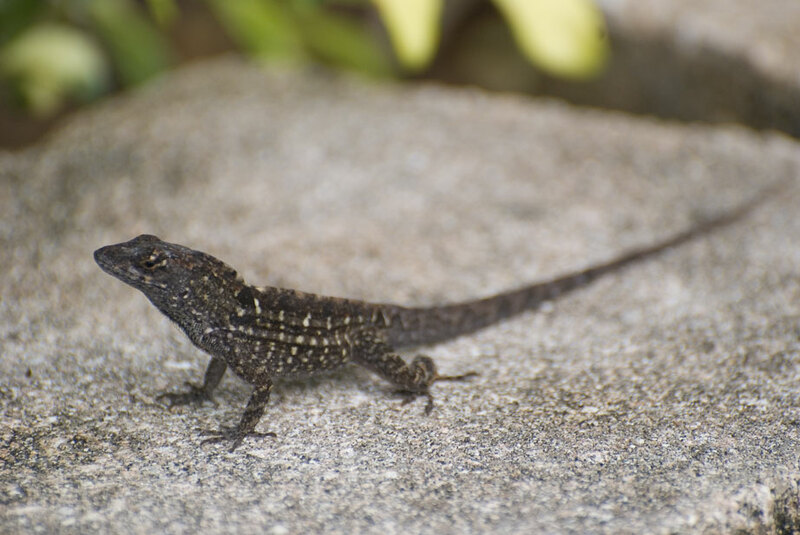 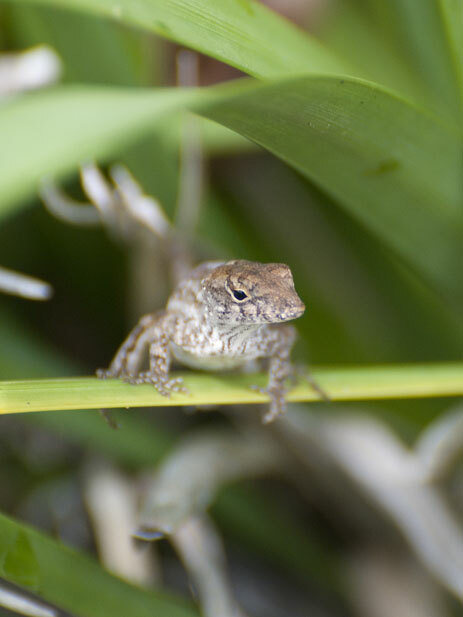 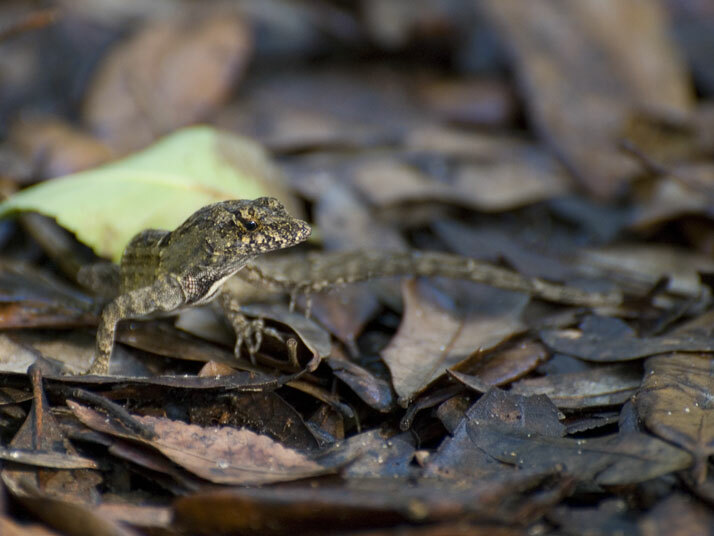 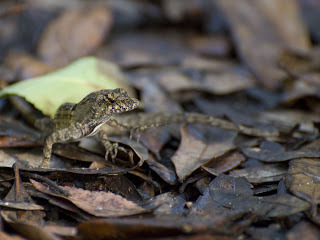 If you've been to Florida you know this little lizard, the Brown Anole. It is not native to Florida and is considered an invasive species. 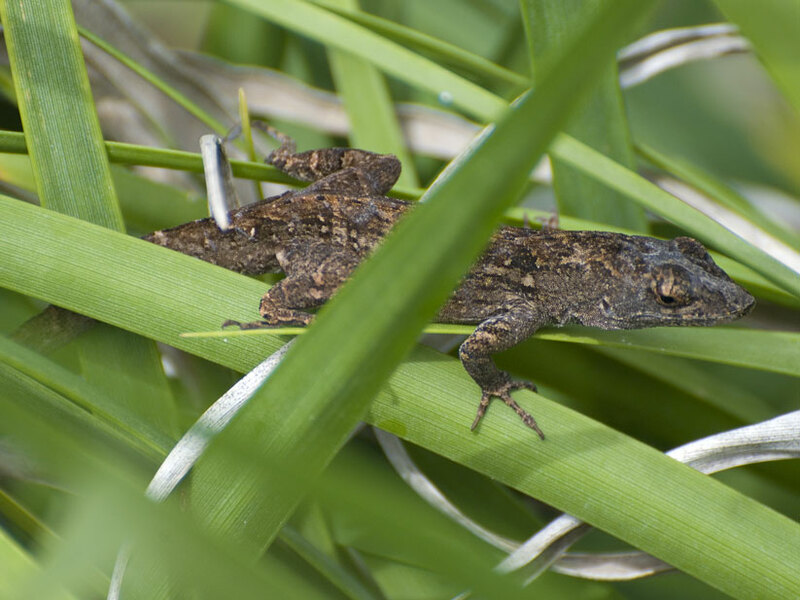 Anoles will detach their tails as a defense mechanism when pursued. 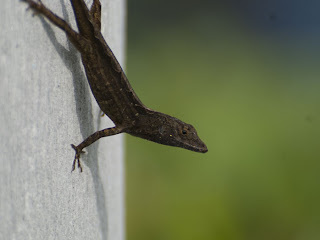 With the exception of two of these photos all were taken in the parking lot of my hotel. 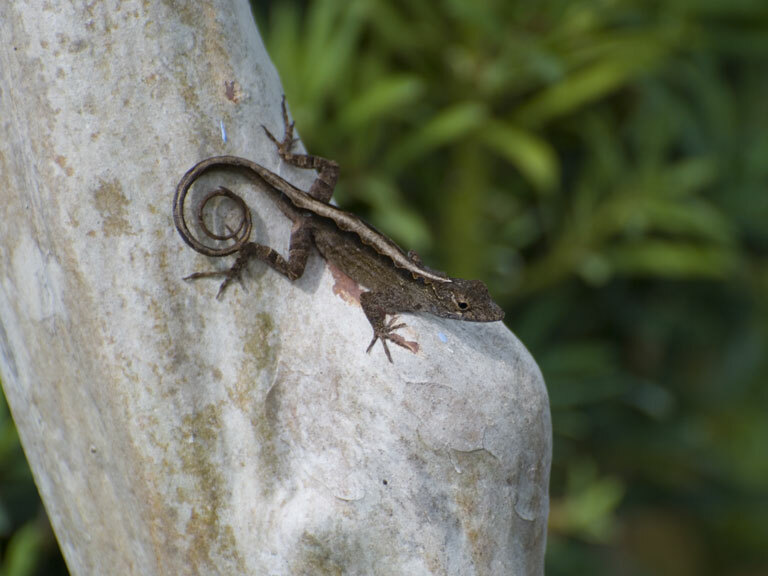 You never know where you will find an amazing photo op. Wonderful and very interesting photos! 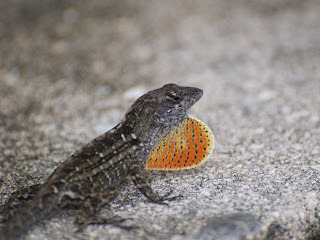 Amazing pics especially the one where we can see the orange neck of the lizard. 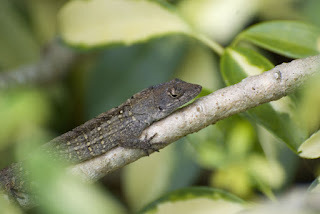 They are very exotic! Great photos.